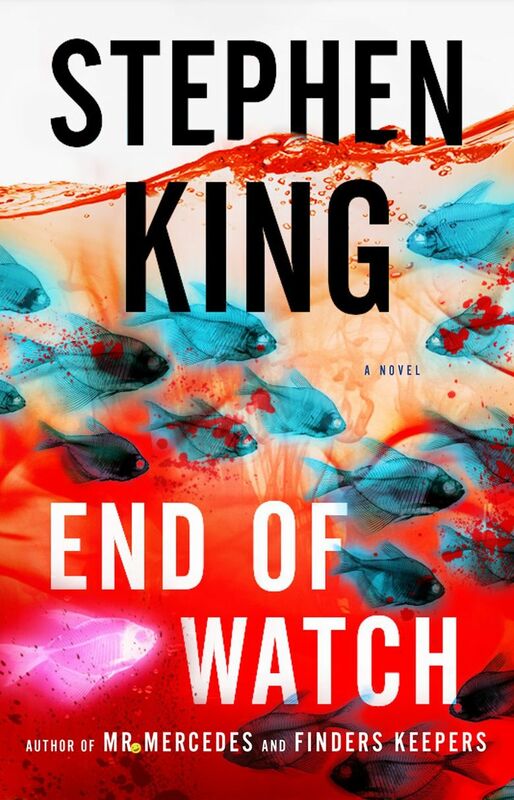 In “End of Watch,” Stephen King brings his trilogy of books about detective Bill Hodges and the villainous Brady Hartsfield to a satisfying conclusion. Stephen King wasn’t messing around when he closed “Finders Keepers” — the second book in his Bill Hodges trilogy — with that singular word (a reference to a framed photo falling over). King had hinted that the evil genius who wreaked such havoc in the first book (“Mr. Mercedes”) hadn’t completely shuffled off this mortal coil, and he was serious. Deadly serious. Yes indeed, Brady Hartsfield, one of King’s most-despicable villains, is alive and plotting all new horrible things in “End of Watch,” the satisfying conclusion to this crackerjack detective series. After a brief opening chapter that flashes back five years to the scene of the original crime — where Hartsfield mowed down several people with a stolen Mercedes — we are reintroduced to retired police officer/now private investigator Bill Hodges, sitting in his doctor’s waiting room. He’s our everyman hero, trying to cope with aging, his distrust of technology and people in general. After a phone call from his former police partner about a local murder-suicide with ties to that earlier crime, Hodges dashes out of the waiting room and is once again drawn into Hartsfield’s web. But how, King’s “constant readers” may ask, can Hartsfield be doing anything? When we last saw him, he appeared to be a vegetable residing in a Traumatic Brain Injury Clinic. As the aforementioned “clack” suggested, there’s something very dangerous going on behind those seemingly dead eyes, and King taps his supernatural bag of tricks to explain just how Hartsfield plans to destroy Hodges and all those who he feels have wronged him (a good portion of the book’s final third could be renamed “Brady Hartsfield — How I Did It”). No spoilers here, but you may never look at your handheld electronic device the same way again. King brings back characters from the first two books (my favorite: the socially awkward Holly Gibney, Hodges’ partner at the detective agency) and introduces a few new ones. He excels once again by giving all of them human traits and foibles, making the reader wonder and worry about who will remain standing as the story hurtles toward an inevitable standoff between Hodges and Hartsfield (a warning to the squeamish, there are several frank depictions of suicide in this story). As the book’s title suggests, there is finality and loss in the final pages. Readers may find themselves wiping away a few tears as this well-written, involving series comes to an end.